Pick flying noses! Punch raindrops! Brush strangers’ teeth! That’s what WarioWare is all about! All of these microgames and more return in WarioWare Gold, the newest installment in the series. This time, Wario enlists all his friends from previous titles to help make games for a tournament… because he needs money for pizza. As is standard for the series, players will have to act fast and respond to the quickfire “microgames” that appear on screen, having just a few seconds to react and complete each task. One might tell you “Page 39!” and give you a book on page 32, requiring you to swipe through to the correct page. You may have to spin around a handheld Nintendo device to find its stylus, or play through an entire round of Fire Emblem to defeat an enemy. 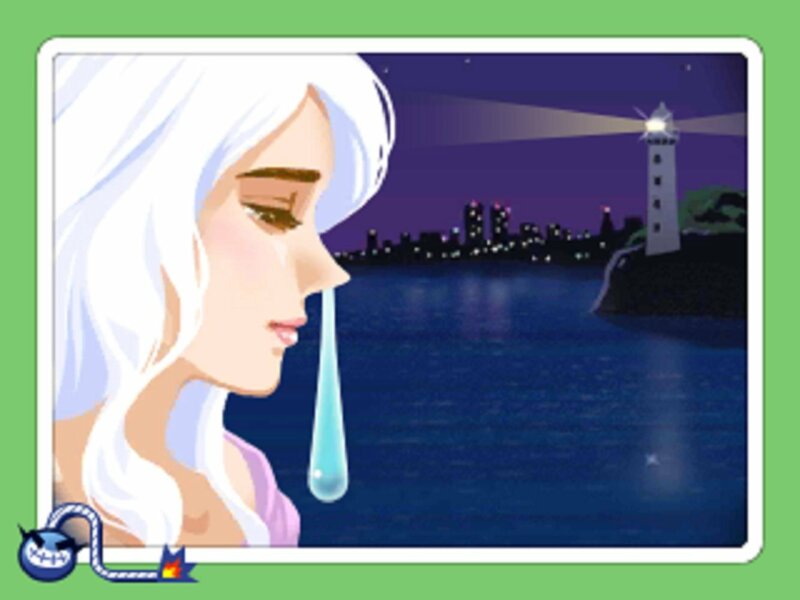 I was delighted to see old microgames such as “lady with a huge snot bubble” have returned along with lots of new ones, so even the most seasoned of WarioWare players will see something new. This quick succession of prompts and puzzles makes me feel like I’m training my brain to act extra fast. It’s like Brain Age, but a party game where Wario farts. It did feel a little weird to hear him fully voiced, but it really brought his character (and farts) to life. Gold hasn’t really changed the way WarioWare works or plays — other than simply adding more games, for better or worse. After a while, playing through the same formula of microgames can get old. However, there really are a ton of them, and you’re always getting something new. They ask the player to do the strangest things, like pulling hairs out of someone’s chin or reuniting distant lovers. In the few hours it takes to play through the story mode, you’ll have tickled, poked, and prodded all the people in whichever universe Wario lives. Different games have completely different art styles, and some reenact sections from other popular Nintendo franchises. One even has you click a Joy-Con into a Nintendo Switch. Each different game can be fun and silly, or even nostalgic for those that have played older WarioWare titles. Some games may be a little too simple, requiring one button press or a slight movement — and not much thinking. I guess with 300 some-odd variations of three-second tasks, not all of them are going to be the most interesting or challenging. Since they go by so quickly, they don’t have much time to leave a lasting impression unless they are excessively ridiculous or recognizable scenarios. Still, it’s fun seeing all the wacky ideas the developers come up with, even if they don’t all impress. 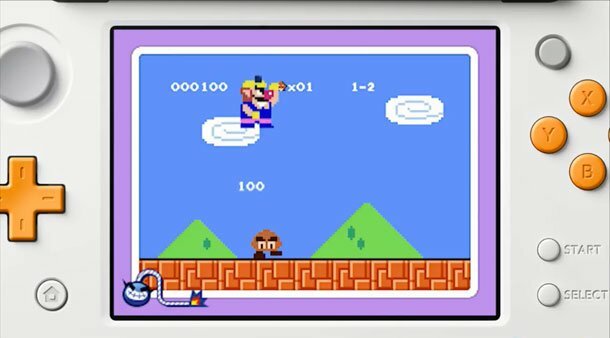 After completing the story mode and defeating the greedy Wario at his own game, challenges are opened up. These essentially serve as new play modes that comprise all the different game types, where you can compete for high scores or challenge other players online. There are some challenges that limit you to only one extra life as opposed to the usual four, and some which involve changing the pace of the games. I would love to see a WarioWare with more focus on its party-style aspects, where I could play with and challenge friends in real time on a single system. As it stands, not too many of my friends even own a 3DS, so I feel like I might be missing out on an enjoyable way to play. Personally, I think the hectic, rushed style of gameplay would lend itself well to a competitive environment with others. On its own, it’s still a wild ride, but it could be supplemented well with some multiplayer facet outside of the online play it already offers. WarioWare Gold is a fun, silly experience, however short it may be. With not much more to offer than a mix of new and classic microgames and a fully voice acted Wario, fans can expect a typical WarioWare game. Its challenges are interesting and technically endless, but the rapid-fire nature of its games make the entire affair go by quickly as well. This review is based on the Nintendo 3DS version of the game. A copy was provided by Nintendo.